Welcome to the first stop aboard Magical Blogorail Red. 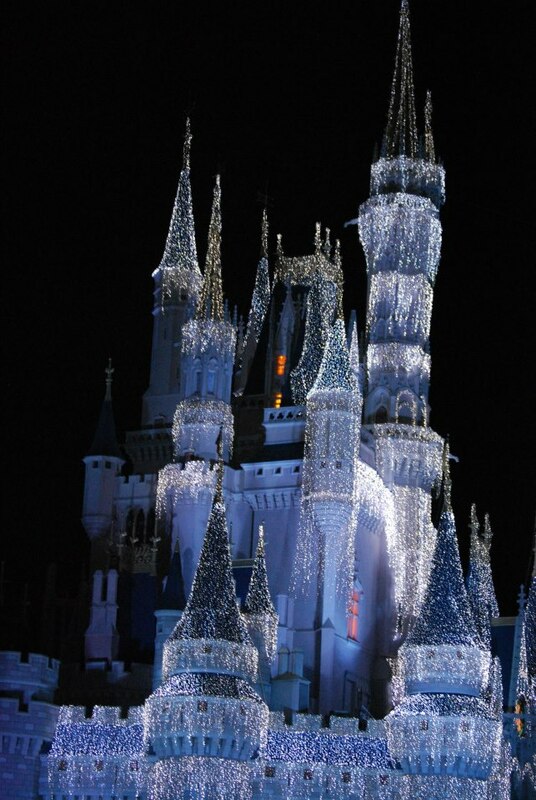 Enjoy the ride as we share with you our dreams of a Disney Christmas. With Christmas just around the corner, the Magical Blogorail Red team would first like to wish all of you a very Merry Christmas, full of the wonder and excitement of Christmas, along with remembering the joy that the birth of Jesus brings to those who Believe! For this month’s post, I’ve gone completely off the board, and instead of writing a post, I’ve adapted that most cherished of Christmas Songs — “White Christmas” by Bing Crosby, and come up with my own song to the same tune. Before you read mine, though, I think it important that you watch the real deal first, so that you can take pity on me when you read mine! Image Courtesy my friend Leigh Ann! Mickey’s Once Upon a Christmastime Parade, too! 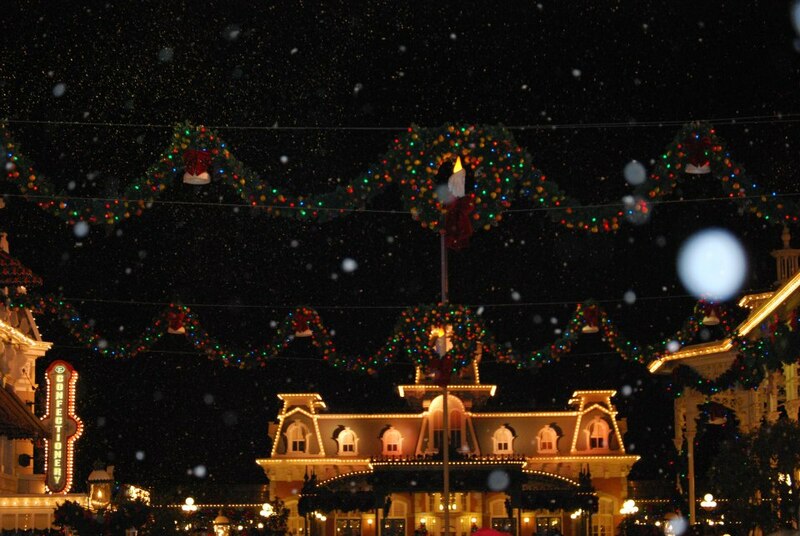 And watching it snow on Main Street, U.S.A. too! One day we’ll go, of that I am certain, indeed! All of us at My Dreams of Disney would like to wish you and your family the most wondrous of Christmas joy this holiday season. We also would like to extend our deepest heartfelt prayers to all of you that, for some reason or another, are missing loved ones this Christmas Season, and pray that you can find your joy in the birth of our Savior, Jesus. God Bless us all! Magical Blogorail Red: My Favorite Walt Disney Quote! Magical Blogorail Teal: Disney for Christmas! Thanks, Heidi! I know what you mean about WDW, I’m not sure about how I’m not going to get there next year! This is awesome Mike!! Hope you have a Magical Merry Disney Christmas!! Good Bless!! Thanks, Donna! Merry Christmas to you also! I think you should record the song and post on You Tube; anyone visiting WDW during Christmas, and attending Mickey’s Party will appreciate your efforts. Nice post. Thanks Bruce! Merry Christmas to you and your family! Next Post: Friendship Friday: Amanda from Disney’s Cheapskate Princess!